The original and still America's number one selling minnow bucket. Designed to be pulled behind the boat or used when wading. Hydrodynamic shape features balance to keep bucket floating with bait door facing up. Constantly aerates bait as it is pulled through the water. The perfect gift for those fishermen out there! 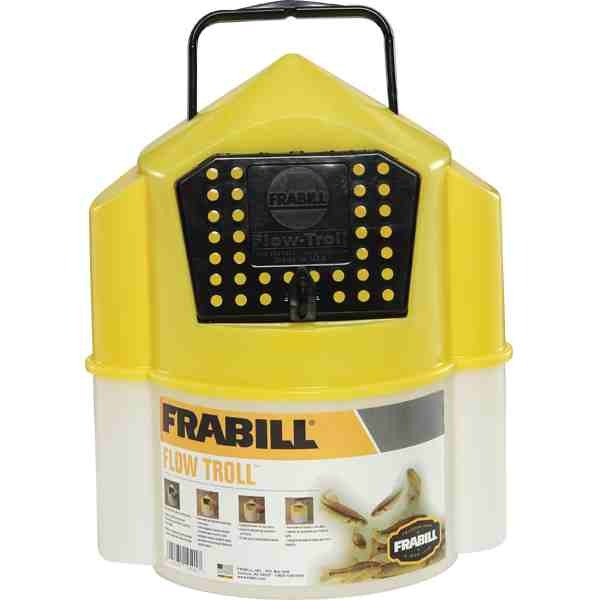 This pump aerates up to 8 gallons. It runs up to 44 hours on 1 or 2 D batteries. Includes weighted air stone, tubing inside the case, and an adjustable stainless steel mounting clip. A great item for your fishing needs! This is 120V AC air pump. This pump will aerate 100 gallons! It is very quiet and will keep bait fresh for days. Has two outlets of 6900 cc/min. Has a pressure of 0.4 psi. 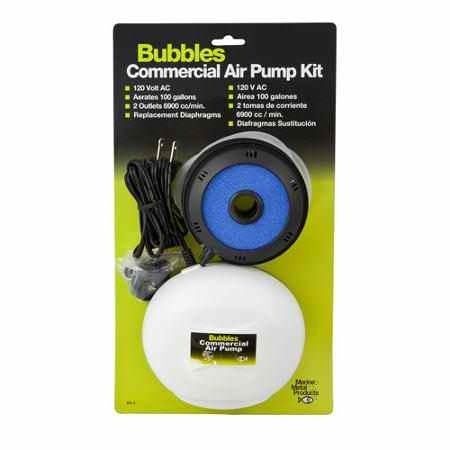 This kit includes two replacement diaphragms, 2 weighted air stones, and a 12' air tubing. The absolute perfect gift for serious fishermen! 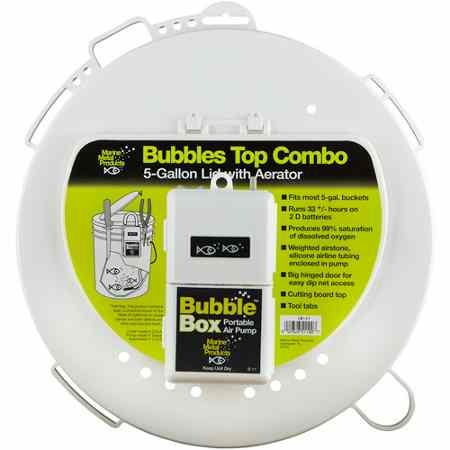 This combo includes a 5 gallon lid and an aerator. The lid fits most 3.5, 4.25, 5, 6 & 7 gallon buckets. This will run approximately 44 hours or more on just 2 D batteries! Produces 99% saturation of dissolved oxygen. 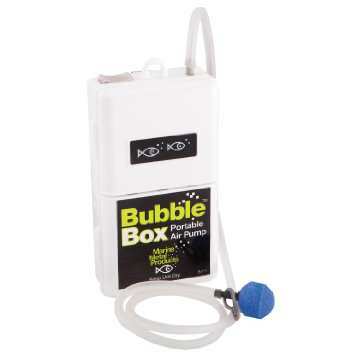 Includes weighted air stone and silicone air tubing enclosed in the pump. 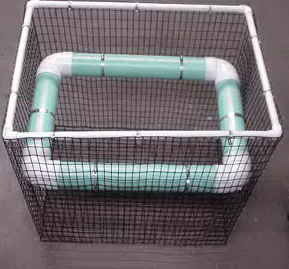 Has a big hinged door for easy dip net access. Dual purpose top: works as lid & cutting board! 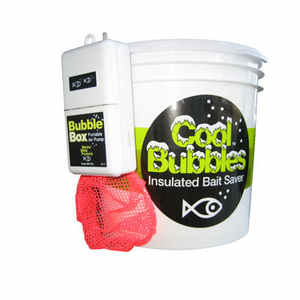 This 7.3 quart insulated bait saver includes a portable air pump and fish net. Also includes air tubing and weighted stones. It will run over 40 hours on just 1 or 2 D batteries. It produces 99.5% saturation of dissolved oxygen. The top acts as not only a lid, but a cutting board also! The perfect gift for the fisherman in your life! 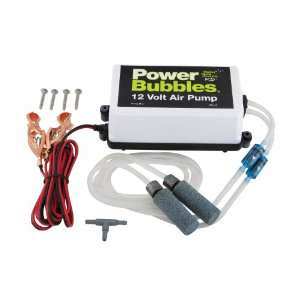 This 12V air pump produces 99.5% dissolved oxygen. 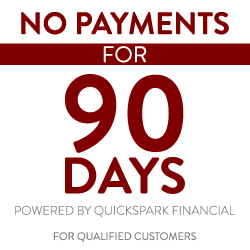 It comes with dual pumps, allowing it to aerate 1 or 2 livewells (35 gallons). Includes a flexible mount, stainless steel clip, and screws. This pump has a large volume air flow. The perfect item for all your fishing needs! 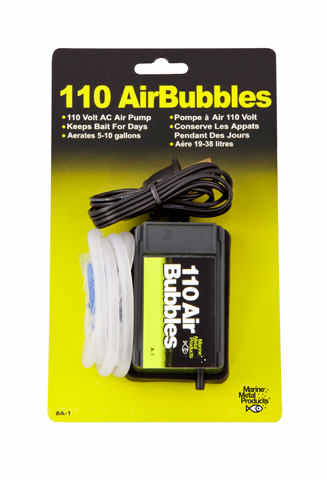 This 110V AC air pump produces 99.5% saturation of dissolved oxygen. It comes completely ready to use. Tank tested to assure quality. Keeps bait for days! Aerates up to 5-10 gallons. Includes 30" tubing and weighted airstone. No batteries required. Convenient reach-in top door on side so bait can be easily transferred to other containers. Floats so you won't lose it! 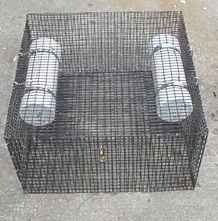 This bait trap is great for Crabbing! Just drop the crabs in the open door! Also great for panfish and smaller gamefish. Convenient toss-in open top so fish can be easily transferred to other containers.